We’ve previously covered several products from RakWireless, with a Realtek WiFi IoT board, a WiFi camera board, and a Amazon Alexa compatible audio board. 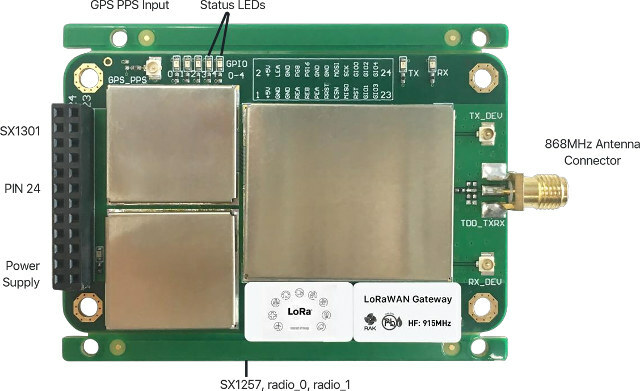 The company has now launched RAK831, a LoRaWAN gateway board powered by Semtech SX1301 base band processor, and working with their RAK811 LoRa node or other compatible nodes. The board can be used for various applications such smart metering, wireless star networks, home/building/factory automation, wireless sensors, wireless alarm & security systems, and so on. The guide start guide found in the documentation page, explains you’ll need a USB to SPI adapter board, for example based on FT2232HL chip,connected to an Ubuntu computer, or instead a board with an SPI interface running Ubuntu, or other Linux distribution. Finally, you’ll need to install the software found in RAK831_LoRaGateway Github repository. 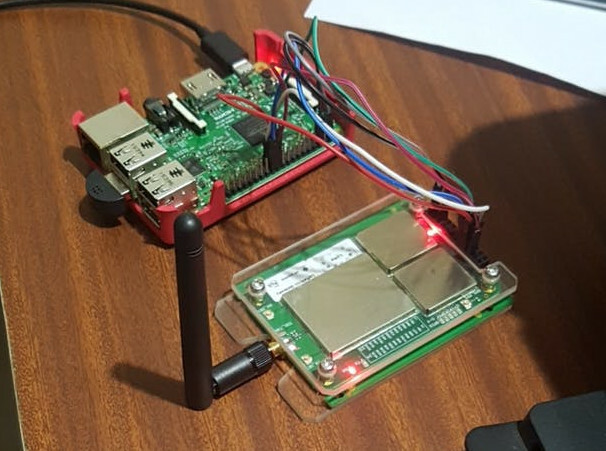 The company has also sent beta samples to several testers, and one of them – Naresh Krish – wrote a guide to use RAK831 with Raspberry Pi 3 board, registering the WiFi <-> LoRa gateway with TheThingsNetwork, and connecting to a RAK811 node. RAK831 gateway is for $120 and up on Aliexpress for 433 MHz, 868 MHz or 915 MHz frequencies, or $125 if you want to add the acrylic case shown above. You may find additional details on the product page. feels great to be mentioned in cnx software blogpost. I am also currently working on getting the rak831 working with other mediatek chipsets like 7628 and 7688. Rak wireless has also released some companion lora node chipset based on sx1276 that work had in hand with Rak831. I’m still not getting the problem with LoRa gateways. 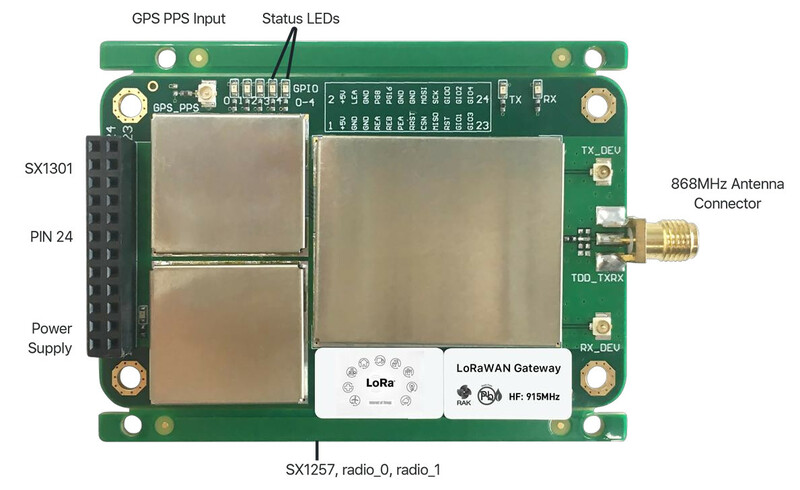 Why are all the LoRa gateways expensive pieces of hardware with proprietary software? Why isn’t there easy to install and use software for a Raspberry Pi attached to one or more inexpensive LoRa radio modules? I did see a couple of attempts at Raspberry Pi based solutions, but at first glance they looked like very complex nightmares with poor documentation. So what is it? Are LoRa gateways just that hard to do? Or is there some sort of proprietary blob that is the obstacle? All LoRa chips are proprietary and either made or licensed by Semtech. LoRaWAN gateways in particular need a more complex chip to that essentially emulates a 49 channel radio, this Semtech chip is expensive – around $50 in 1k units – and the information you need to use it is proprietary, you need to enter into an agreement with Semtech to use it. Those are not real LoRaWAN gateways, they only work for one channel. OK for testing out but not much else. However, when we see the price of theses modules, and the price of limesdr , I don’t understand why the limesdr isn’t use in at least one design of a lora gateway. LimeSDK still costs close to $300. LoRA PHY has been reverse engineered, but I don’t think it’s possible to *legally* make and sell a LoRa gateway with that work.